The New York Yankees received more bad news this past week, as it was announced that future Hall of Fame SS Derek Jeter will not be back in the lineup until after the All-Star Game. 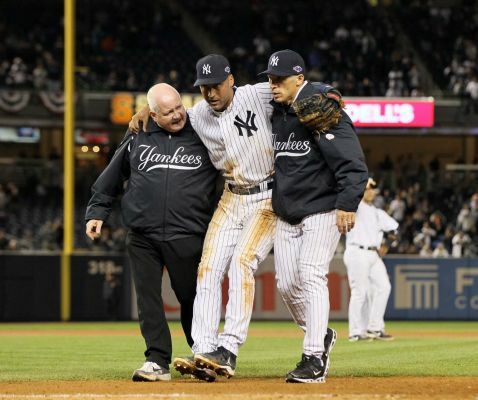 Jeter originally broke his left ankle in Game 1 of the American League Divisional Series against the Baltimore Orioles, and most expected him to be ready for the start of the season. However, a recent exam showed a second small break in his ankle, which effectively puts his rehab on hold for the foreseeable future. Jeter will now have to wear a boot for several weeks as this new fracture heals. To read the full story by ESPN New York’s Wallace Matthews, follow this link. This entry was posted in MLB All-Star Game tickets, MLB Tickets, Sports News and tagged Baseball, Derek Jeter, MLB All-Star Game, mlb all-star game tickets, New Yankees by promc58blog. Bookmark the permalink.